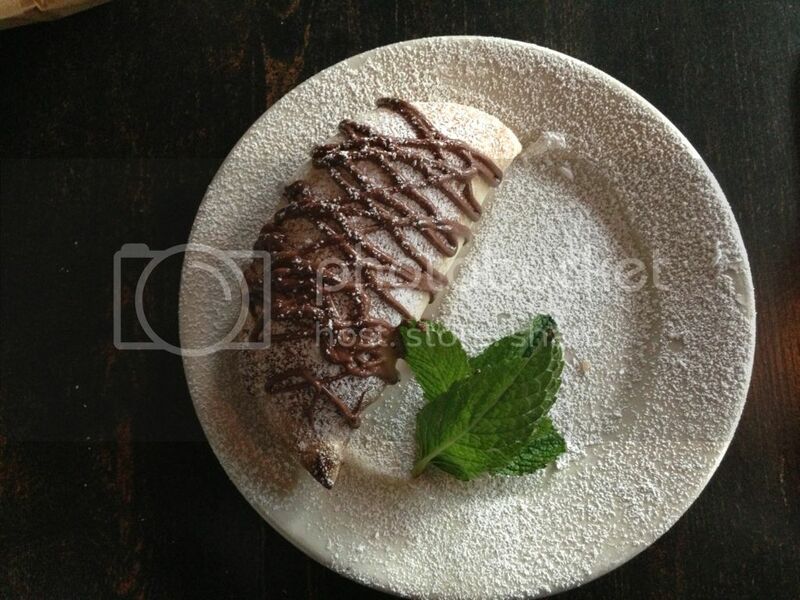 So I've been to Lucali now a couple of times and although I want to love it, I am hesitant to commit. My first visit was prompted by a good friend in New York that took the time to email me about how Lucali is the best pizza she's ever had. This was a bold claim from a reputable source, so I had to check it out. 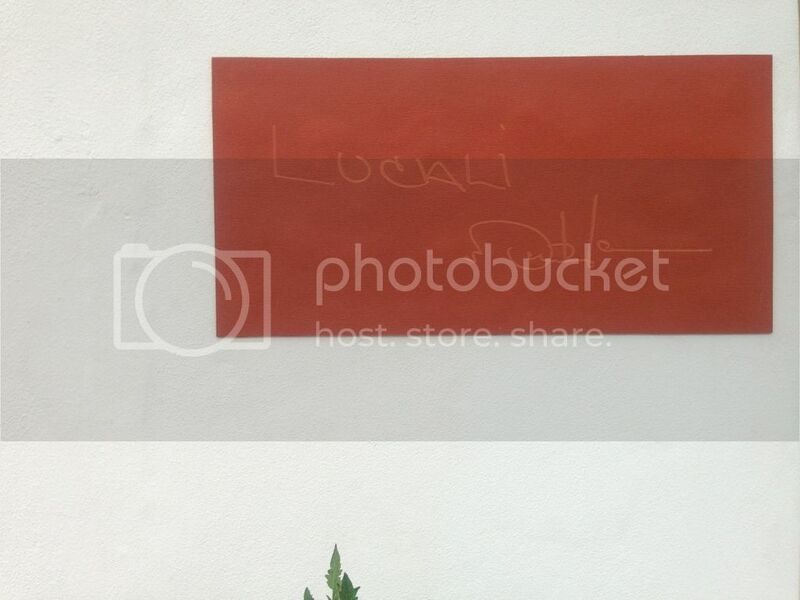 The restaurant is located right in the middle of Pubbellyville, directly next to Barceloneta. 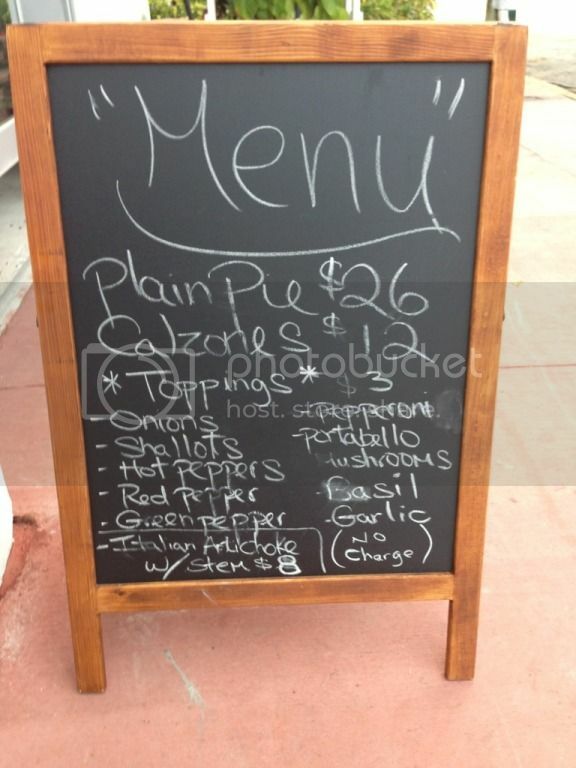 There were no menus available and the only thing available is pizza and calzones with a very limited topping list. On our first visit we got two pies, two 20 inch pizza pies that costs a total of $78. Yes you read that right. 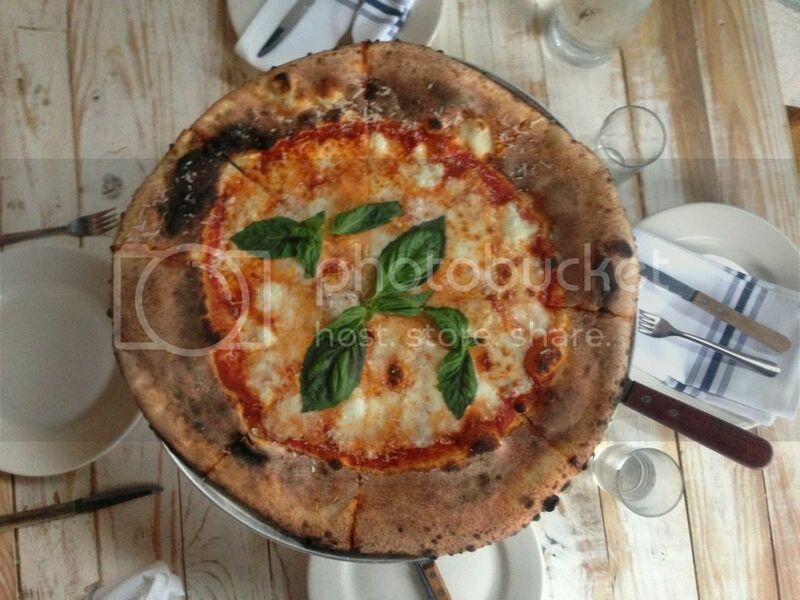 Our first pie was a simple cheese pie, which costs $26 (exclusive of tax or tip). Our pie had about 3 inches of crust all around, albeit a very delicious thin crust, but I mean... seriously? 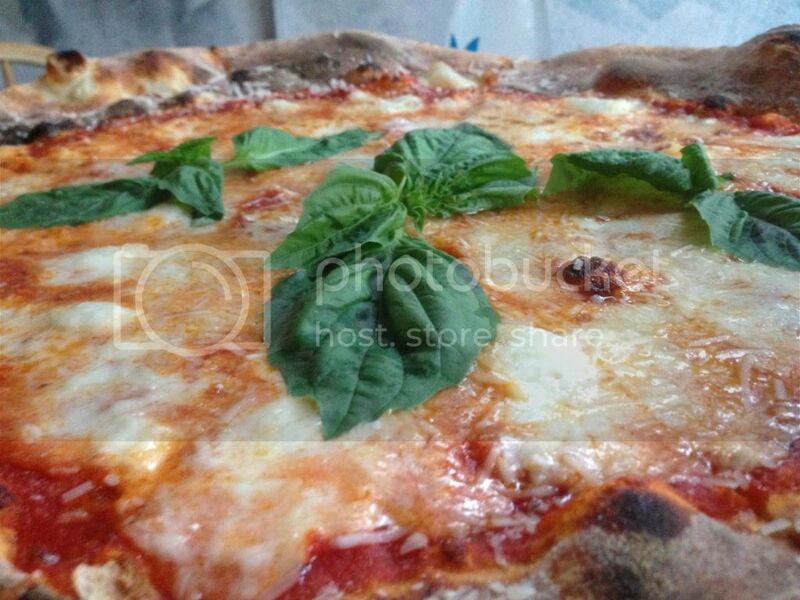 Now the area of the pizza with actual cheese, homemade marinara and basil was delicious. Phenomenal actually, simple and just fresh. If you go with friends and split this pie, then by all means it's worth it. However, I'm not sure the price tag is worth it if you're planning on eating it all by yourself. The next pie we got was piled with mushrooms, shallots and artichokes. In all honesty, I actually preferred the simplicity of the cheese pie over the pie with all the toppings; the shallots and artichokes overpowered all the other ingredients. Sorry, no pictures of this one, so just take my word for it. Now here is where it gets pricey, adding mushrooms $3, adding shallots $3 and adding artichokes (That have been flown in from Italy #OhYouFancyHuh) $8. Suddenly the pizza pie went from $26 to $40. Yep. And if you're the type of person that likes your pizza with 'everything,' well then it'll cost you close to $70 for a pie. There is something intrinsically (and perhaps morally) wrong about charging $40 (or more) for a pizza. I mean SERIOUSLY!? Especially when you take into consideration that you can take a short drive to KingsCounty Pizza and pay $17 for a similar pie. I had heard that their calzones were as good (if not better) than the pizza. So I decided to give it a second chance, because even though I felt it was overpriced, it was very good. 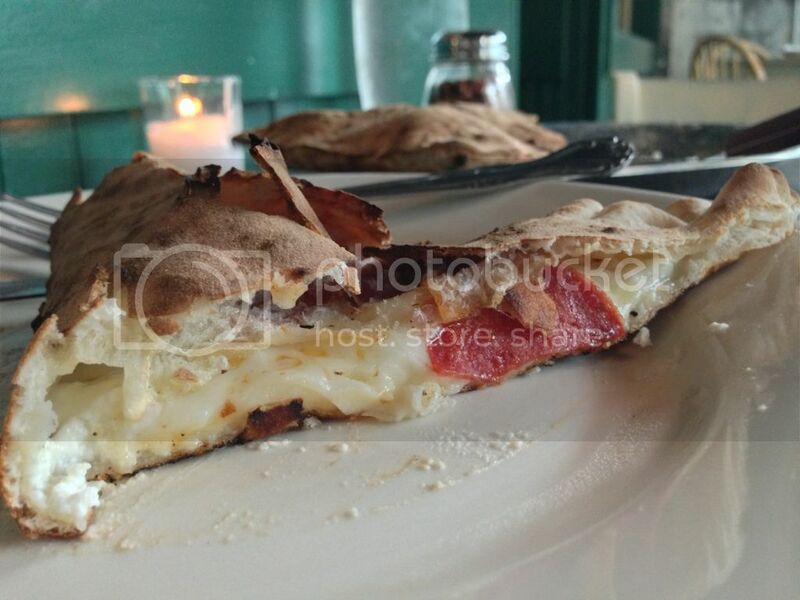 The calzone is more moderately priced at $12 and can feed 1 normal person or two skinny south beach models. Again the toppings cost $3 a piece or $8 if you want that fancy artichoke. I decided to add some pepperoni to my calzone and it was molto delizioso. 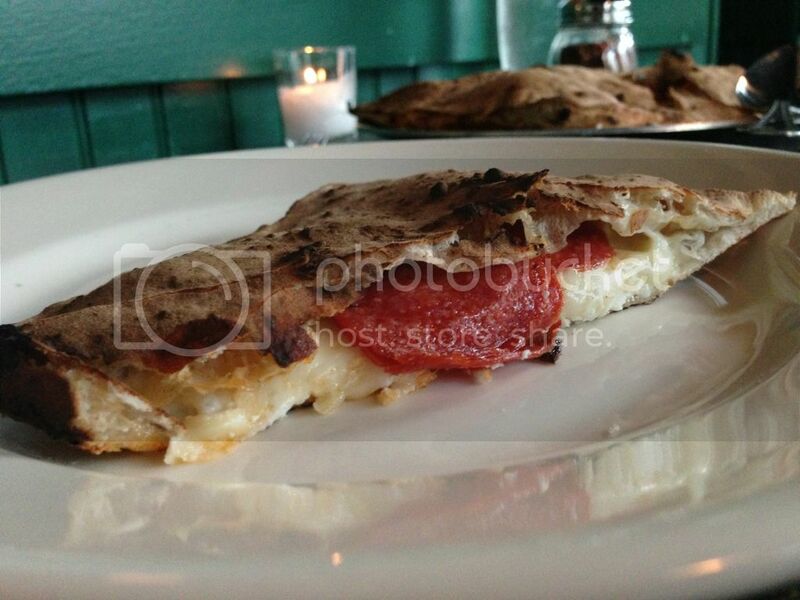 The crust was almost cracker thin and the filling was a mysterious five cheese blend. I say "mysterious" because when I asked what kinds of cheese were in the calzone I was told, "It's a secret, I don't even know." I can tell you ricotta, parmesan and mozzarella are in there, besides that who knows. 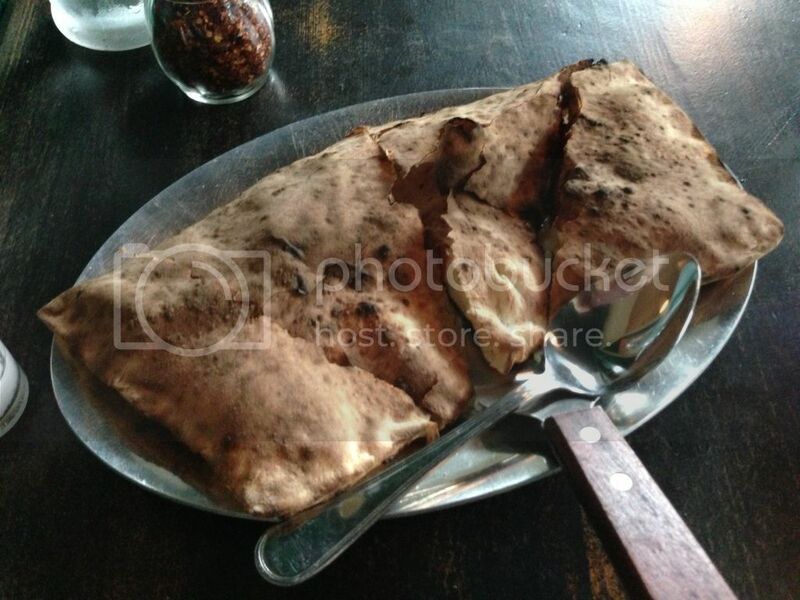 The calzone was really rustic, fresh and delicious: really no complaints on this. 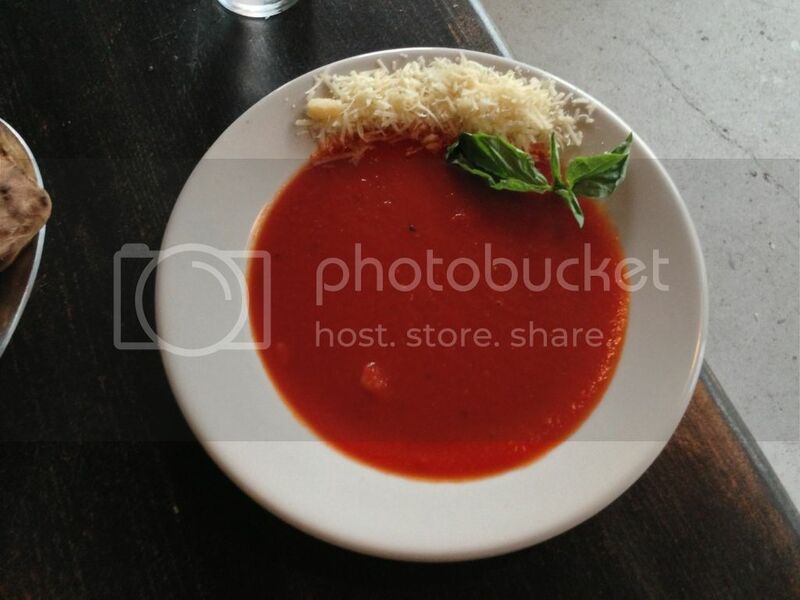 It's also served with a separate plate filled with homemade marinara, some grated parmesan cheese and a bit of basil. So to sum it up: the pizza is delicious, but ridiculously expensive in my opinion. I'm not sure if they're hiking up the price because it's South Beach and everything in South Beach costs about as much as a black-market kidney or because the chefs/owners are delusional. If you want to eat at this place without having to get a second mortgage on your house, I suggest going with friends and sticking to a plain cheese pie or calzone and drink water. 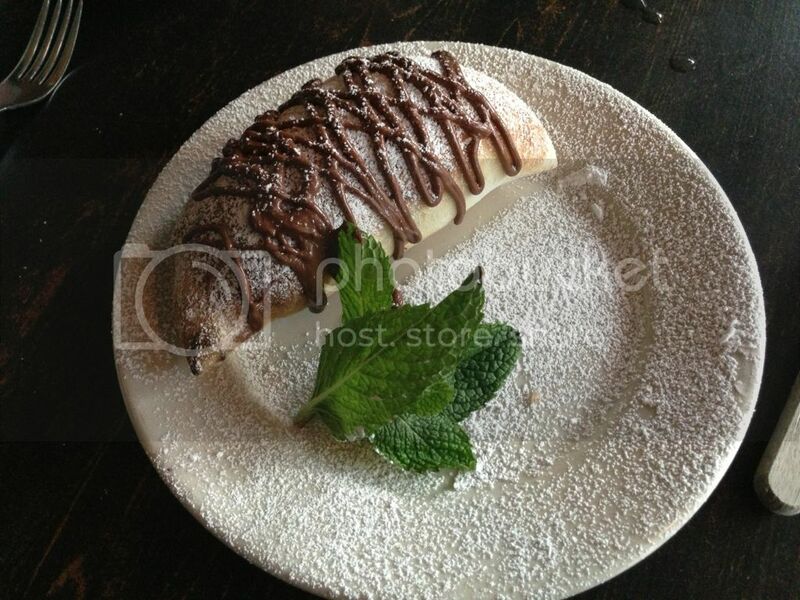 Oh and get the dessert calzone, you'll thank me later. I want to like this place, hell I want to marry it and have its babies, but I feel the pies are unreasonably too overpriced. Feel free to leave your comments if you've been! 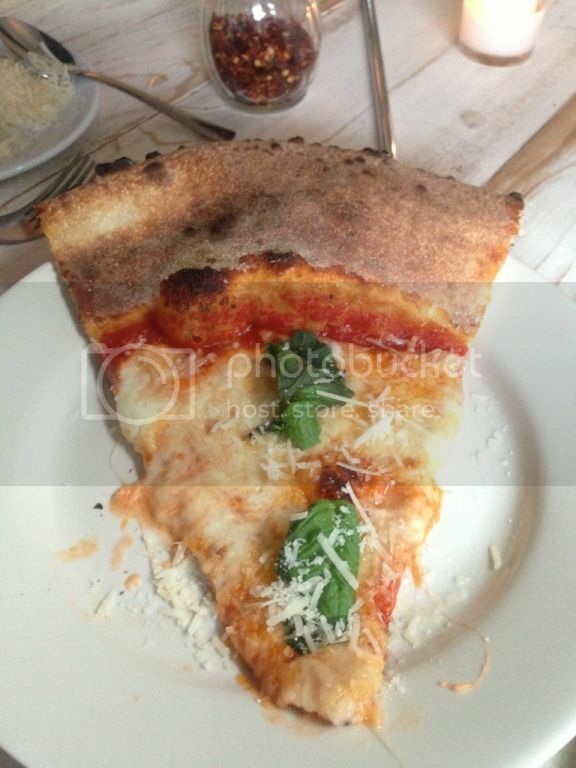 What do you think about Lucali? Thanks for the review! I was planning on checking out Lucali but really, $70 for a pizza is not worth it unless it's accompanied by a lobster dinner and wine. I will check out Kings County Pizza when I'm next in that part of town. New to your blog but am happy that I found you! Love your witty honesty. 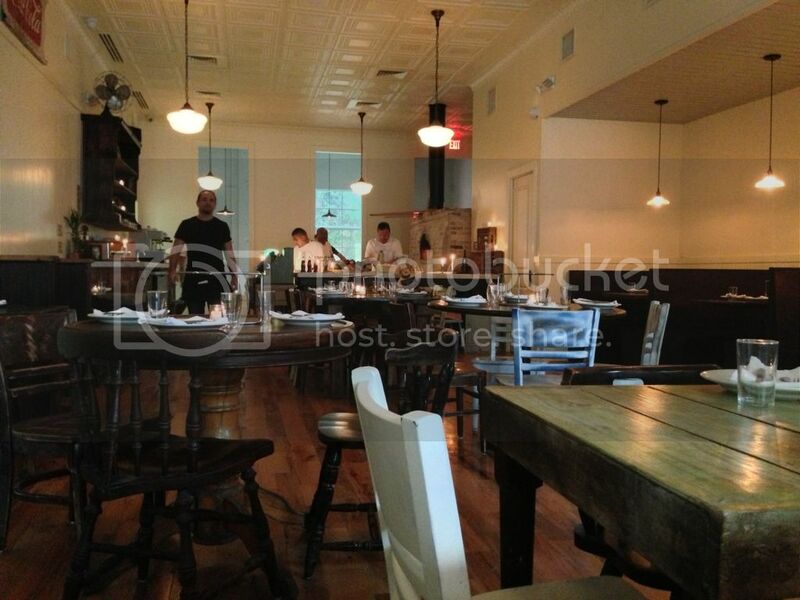 I was hoping to take my hubby to Lucali, but that just seems ridiculously overpriced. Will definitely look into King's County Pizza.